Carol has spent her entire career working with people with disabilities in a variety of capacities. 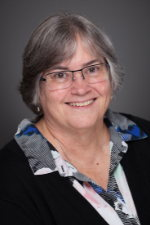 After more than two decades of experience in direct service and management for disability programs, Carol began working in Information Technology at a local non-profit agency 18 years ago. Her unique combination of experience in programming and IT allows Tangram to create solutions that directly benefit our clients and to tailor our IT solutions so that program staff members have what they need to effectively provide services. Carol has been instrumental in implementing policies and procedures related to information technology assets and implementing a new client database system from the ground up. As the IT Director for Tangram, Carol makes strategic technology development plans to meet the needs of the organization, leads implementation and setup of the data network, and executes maintenance of all network computers and printers. The Tangram IT department supports more than 100 workstations and 180 staff in Tangram's administrative office, three Tangram group homes, and approximately 54 sites within the community. Carol holds a Bachelor of Science from the University of Evansville and a Master’s degree from Butler University.